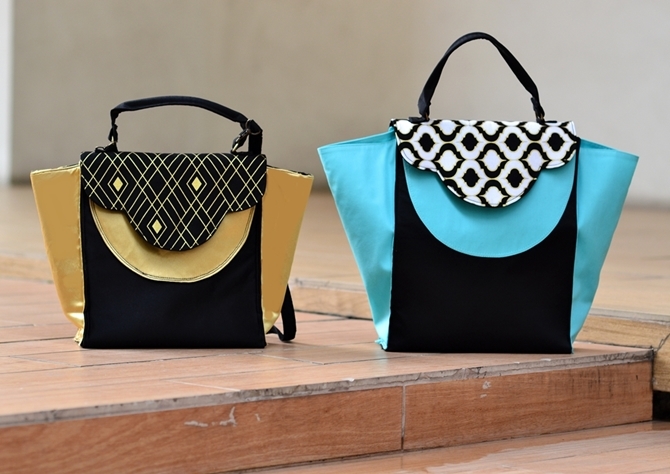 This trapeze bag has very simple sewing steps. There are only 7 important pieces of the bag. Can be 3 more if you count the zipper and organizer pockets which are totally optional. This means you can finish this bag real quick once you get the gist of it. 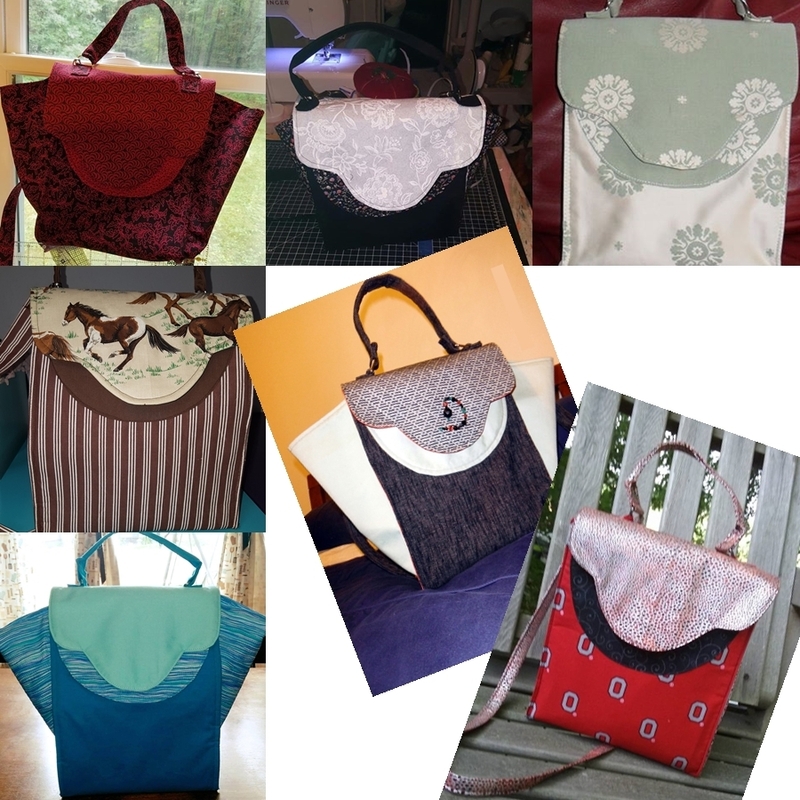 The bag can be made using any type of fabrics; quilting cotton, upholstery, canvas, denim, etc. The best thing is that the bag comes together quite easily. 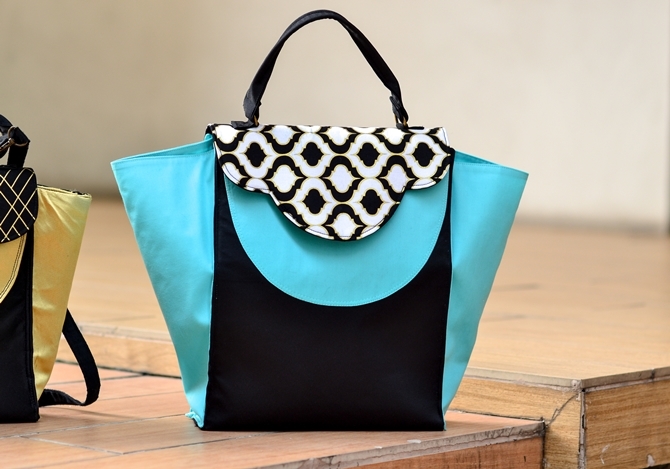 No tricky parts I promise and since there are no tricky parts I have skipped the video tutorial for this bag. The outside pocket serves as a hassle free spot for storing keys, access cards and small change. Whereas the easy to access inside space is great for keeping wallets and pouches. 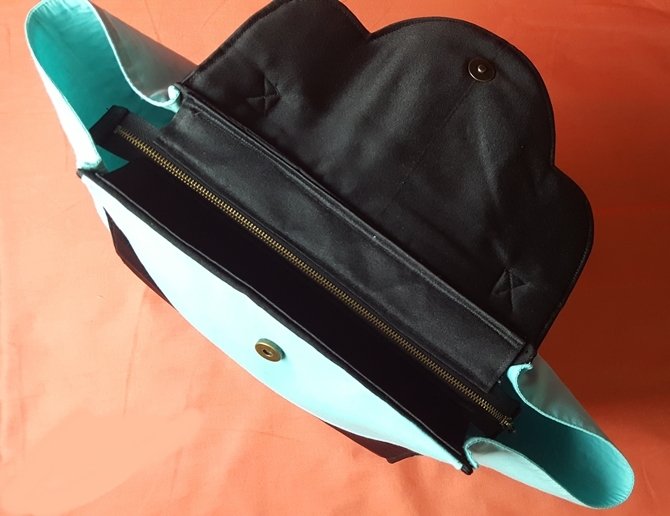 You can also add a zipper pocket inside if you like. Comes with directions for recessed zipper at the top. Check out the pictures below by the amazing testers. 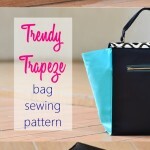 Soooooo, would you like to get the Trendy Trapeze sewing pattern? Buy it NOW!